Extension to integrate Contrast in your deployment flow. Here you can specify your Contrast URL and credentials so our tasks and gates are able to retrieve information from Contrast. 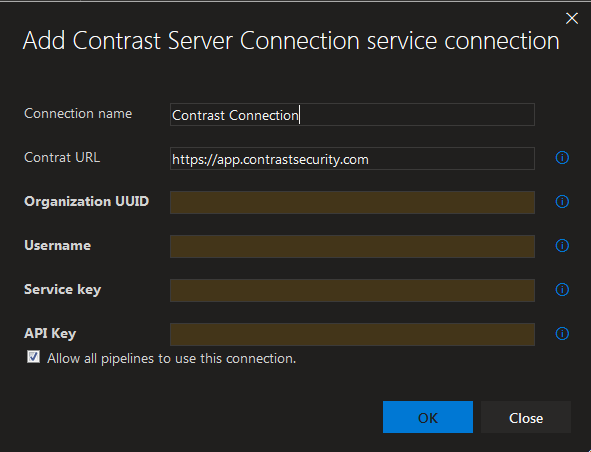 You should have created a Contrast service connection first, if you don't have yet you can click on the New button next to the Service Connection dropdown. 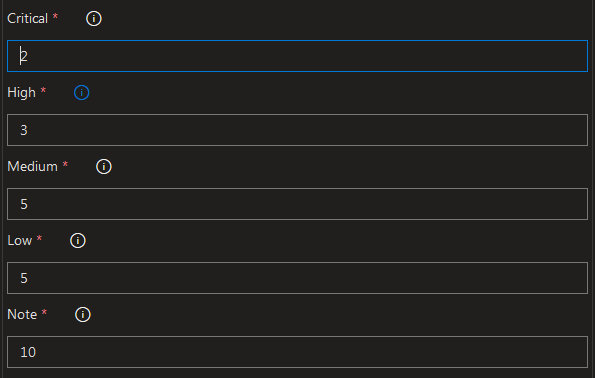 Fill all the fields with the correct data and click on Ok. Click on the refresh list next to the dropdown button and select your newly created connection. Proceed to load the applications list either by clicking over the field or the refresh button next to it and select the application to which this artifact belongs. 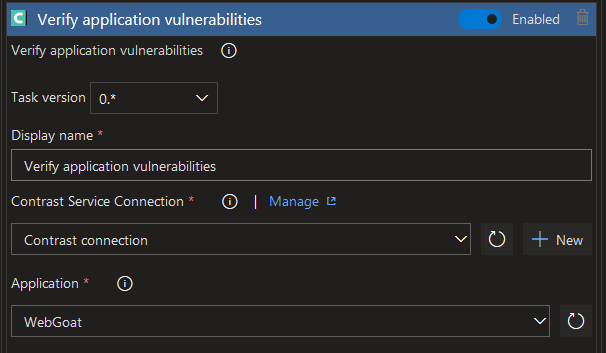 You may choose to be more specific with the severity counters by selecting which vulnerability status or build numbers will be used for filtering when retrieving the data for the gate evaluation. Now set the maximum amount of vulnerabilities per severity. Do mind that whenever your pipeline reaches this gate if one or all the validations fail your pipeline will keep requesting for samples until it is valid or the evaluation timeout is reached.